AUSTIN, Texas -- Austin golfers have spoken. 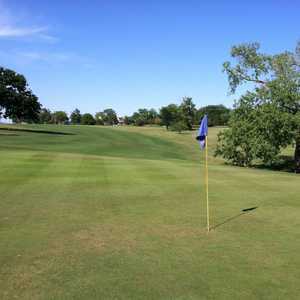 Vaaler Creek Golf Club currently sits atop the Austin area's golf course ratings. Keep in mind these are courses that offer daily-fee tee times, so Barton Creek Resort's four courses, as well as the many other stellar private clubs in Austin, aren't eligible. 1. 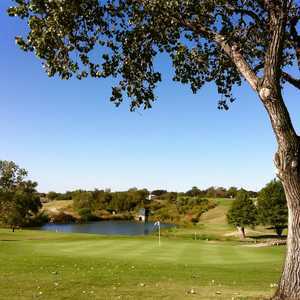 Vaaler Creek Golf Club: From a golf course panelist's perspective, I don't think Vaaler Creek is the best play in the area. The layout is good, but there are more spectacular Hill Country golf courses closer to Austin. I slightly prefer River Crossing, but Vaaler Creek's top spot just goes to show that all the little things add up. Vaaler Creek's conditions and staff friendliness help make it a tremendous value. All golfers (100 percent) in the GolfNow ratings recommend the course to a friend. I can't argue with that. Clearly, based on reviews, this is a facility firing on all cylinders and sending golfers home happy. 2. River Place Country Club: I view this semi-private club on the road to Lake Travis as a sort of "Poor Man's Barton Creek" -- not that you can be poor and afford a membership or a house out here. It's just less exclusive than its Hill Country neighbor and priced very competitively for the public when it does post some tee times. If you want to play Barton Creek but are balking at the three-figure green fee and mandatory stay at the hotel, head to River Place, and you'll get a layout full of dramatic shot making at a price very comparable to Austin's other semi-private courses. 3. 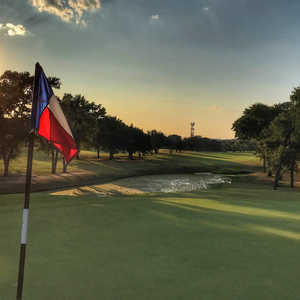 Wolfdancer Golf Club: One of the toughest tests in Texas, the strong rating at the Wolfdancer Golf Club doesn't surprise me in the least; it's also the most premium daily-fee/resort course in Austin. The setting at the Wolfdancer, part of the expansive 1,100 acres of the Hyatt Regency Lost Pines Resort along the Lower Colorado River, is as good as it gets. Amenities are luxury resort-worthy, yet the club often drops its rates for daily-fee play to less than $90, which is a steal compared to Barton Creek. 4. The Golf Club at Star Ranch: The northern suburbs of Austin are full of modern, championship courses that are the centerpiece of residential communities between Round Rock and Cedar Park. The Golf Club at Star Ranch tops this breed in Austin, thanks in part to pristine-rated conditions and great value. 5. Delaware Springs Golf Course: While none of Austin's five municipal courses are on this list, Delaware Springs Golf Course in Burnet made it. Northwest of Austin, this place defines "hidden gem" in a big way. Built by the design team of Proctor & Axeland (one of the design business's great unsung firms), it's great fun in a peaceful, pure Texas setting on a lot of acreage. Make a weekend of it by camping at nearby Inks Lake. Those living in the north and west suburbs of Austin who are used to playing house-lined fairways will enjoy the quiet, wide-open spaces. I'm shocked Falconhead Golf Club doesn't get better reviews at 3.94/5.0. It's a scenic, tour-worthy layout with some really good conditions (its reliable water source also means it doesn't face certain water restrictions other courses do in the summer). Its green fees are on the high-end, often more than $75, which may make some golfers apprehensive to call a round here a great value. Also, I really enjoyed my round at Grey Rock Golf Club a few winters ago, but reviewers seem to have mixed feelings at 3.5/5.0. It's a stern test of golf in a wooded setting with a championship design by Jay Morrish. Lest we also mention it's on the way to the Salt Lick for famous Texas barbecue. Again, it sounds like its green fees may sometimes overshoot the area's sweet spot. Lastly, keep an eye on how high ShadowGlen Golf Club can climb in the ratings. The course is bouncing back from its water fight with the city of Manor in 2011 and is getting better and better. The layout, facility and value are very good.